Young children will enjoy and excited when they play story telling and imagination play using this adorable Elephant Puppet. 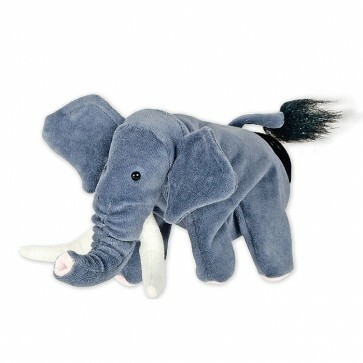 Beleduc Elephant Puppet is specially designed for young children and perfect for story telling and pretend play. Plug the fingers in both legs and in the head, encourages children through role play about emotions, imaginations and communication. - Encourages story telling, imaginations and pretend play. - Recommended for 3 years +.